The verdict is here and it’s out with minimal and in with prints. While there’s no doubt that minimalism has had its moment in years past, the maximalist movement has swiftly taken its place, bringing vivacious colours and punchy patterns back into the fashion vernacular. From animal to geometric and everything in between, your favourite street style stars including Victoria Beckham and Gigi Hadid have taken this trend into their stride. Does animal print ever go out of style? Seemingly making a return to the scene every other year, there’s no doubt that it’s marked its territory this season. From leopard to zebra, tiger and snake, this print is perfect for showing off your wild side, while somewhat remaining in your comfort zone of a neutral colour palette. 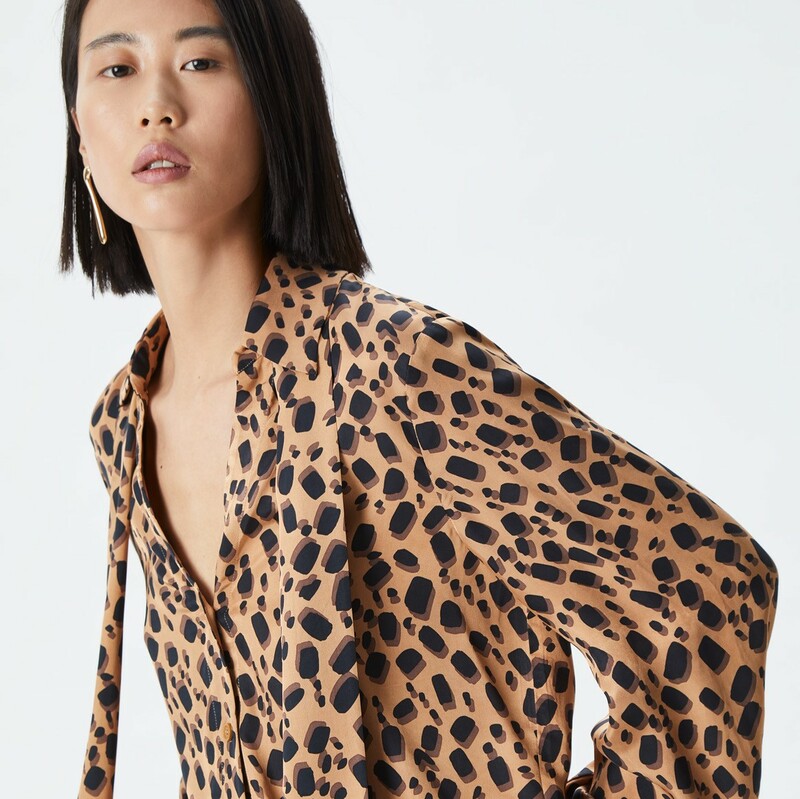 We love this shirt from Adolfo Dominguez – the somewhat abstract and geometric take on the classic leopard print makes it both office and weekend ready. Taking cues of the past is back in vogue, with the retro print dominating the runway and your Instagram feed. Think rich patterns full of nautical references, flags or renaissance art – a print you would expect to find on a vintage silk scarf. To take this nostalgic look into your everyday wardrobe, ensure your styling still has that 2019 edge. Finish off your outfit with a pair of tiny sunglasses or retro sneakers to give it an urban touch. 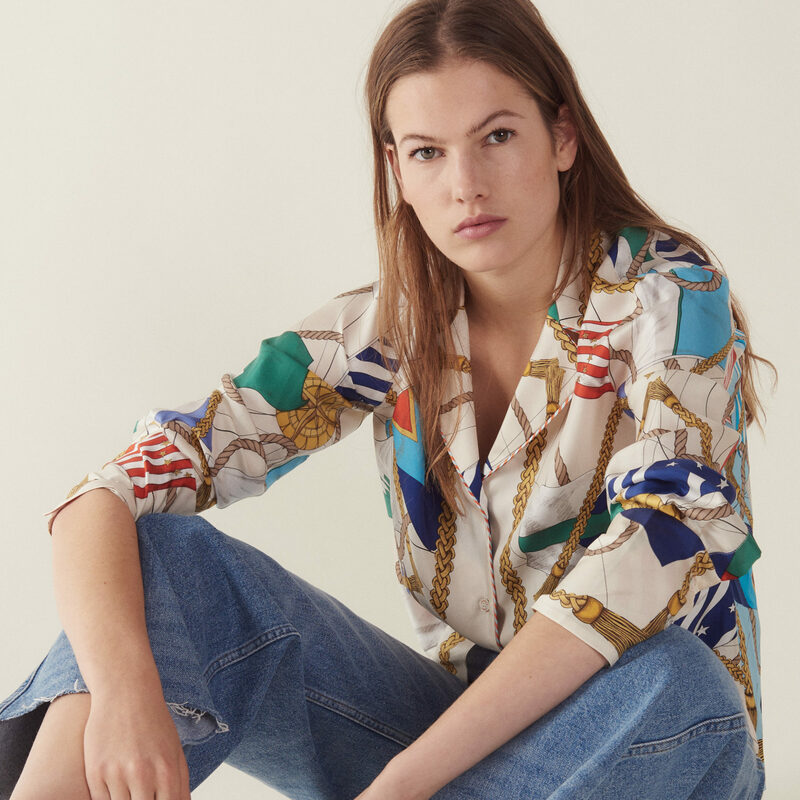 This shirt from Sandro injects the perfect amount of retro chic and modern day cool. Flirty, fun and feminine – floral prints are for the girly girl at heart. While it’s thought that bouquets and blooms belong in Spring, that couldn’t be further from the case. Florals are the perfect way to refresh your look and bring a breath of fresh air no matter the season. Follow the classic route with a painterly floral or take a risk with something louder and graphic. We love this shirt and short combo from Maje, featuring a dainty red print that will make you fall in love with florals all over again. 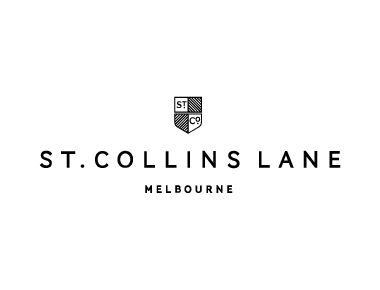 You can shop all these labels at St. Collins Lane.